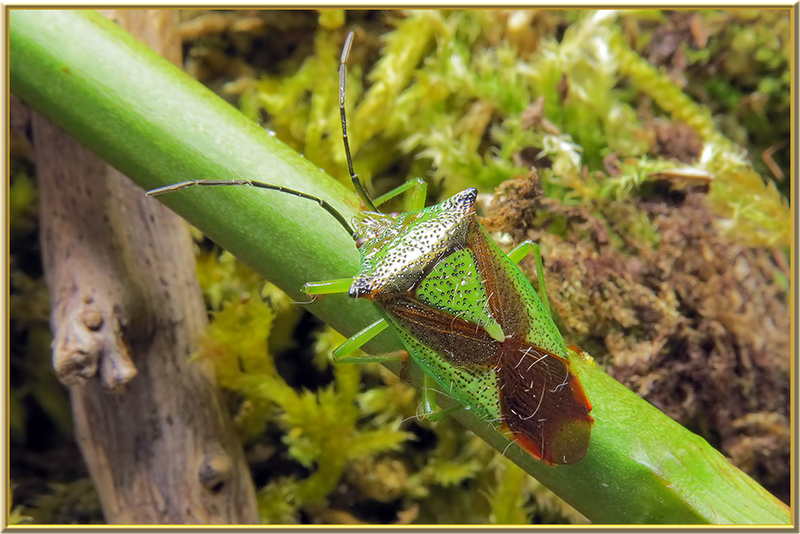 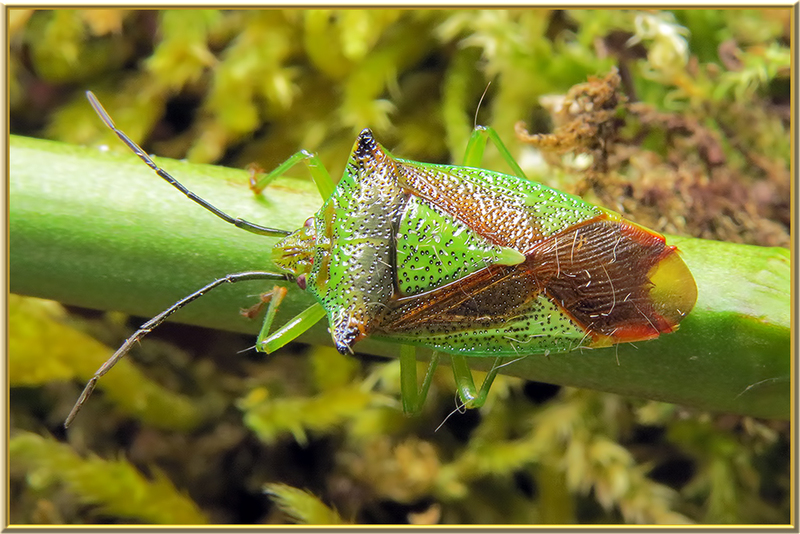 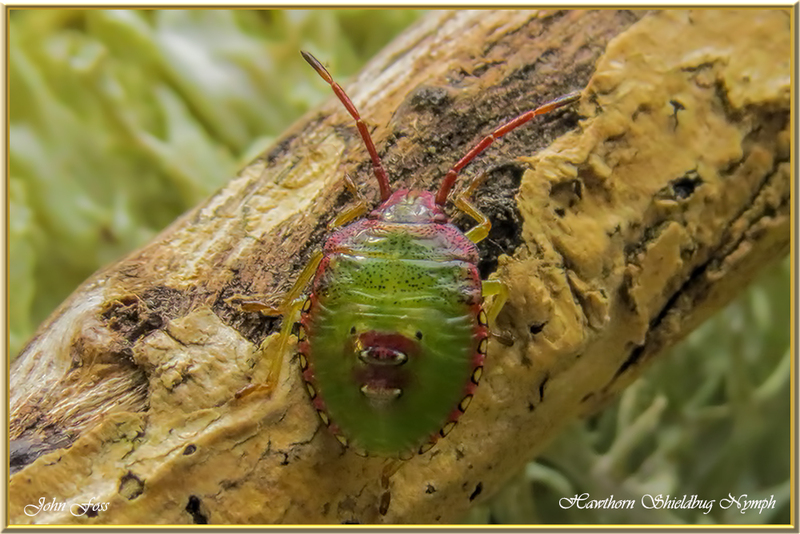 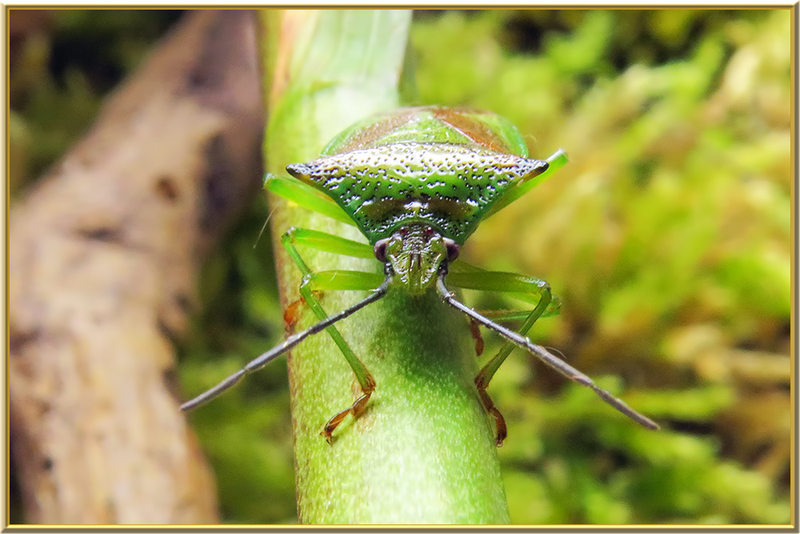 Hawthorn Shieldbug - Feeds on Hawthorn and is coloured perfectly to do so. 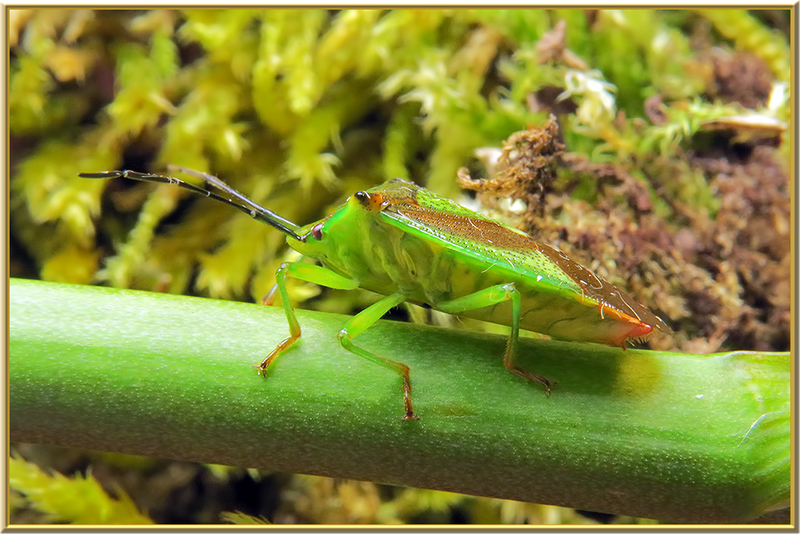 Emits a pungent smell to protect itself from birds and other predators. 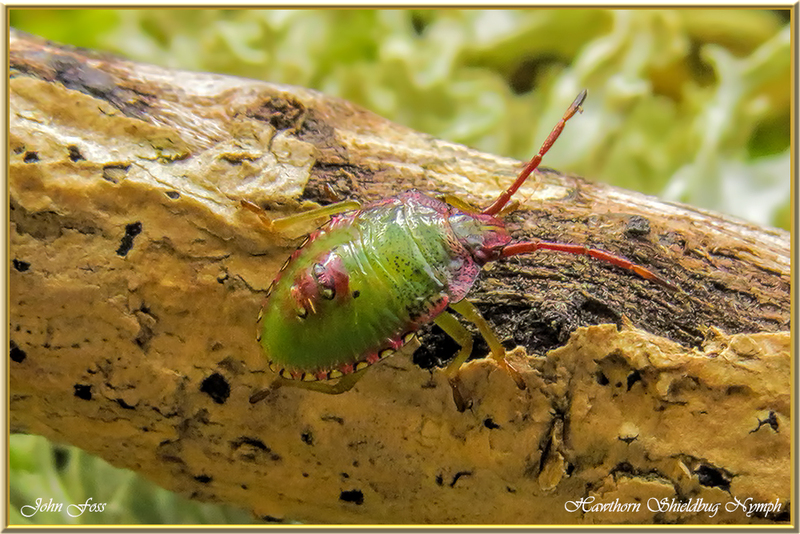 The final instar nymph is also shown in these images.